I hate to say it, but I LOVE cleaning products. Not cleaning, just the products. Even more, I love DISPOSABLE cleaning products. I hate that they’re full of chemicals and are wasteful and expensive, but I love the convienience. Somehow having the latest cleaning gadget helps to motivate me to clean. It makes it more fun. Not that it’s fun to begin with. I’ve wanted to make some changes to my habits when it comes to cleaning for a while now. One of my favorite cleaning products is the Swiffer duster. They’re so handy and work so well. If only it weren’t for the disposable duster cloths they use (and use, and use). I’ve been wanting to make a reusable Swiffer duster cloth for a long time but hadn’t gotten around to it. I guess I was saving it for Go Green Month. I love the reusable flannel duster cloth. It can be washed over and over again, and really does a great job dusting. I HAD to share the tutorial so you can all make your own! 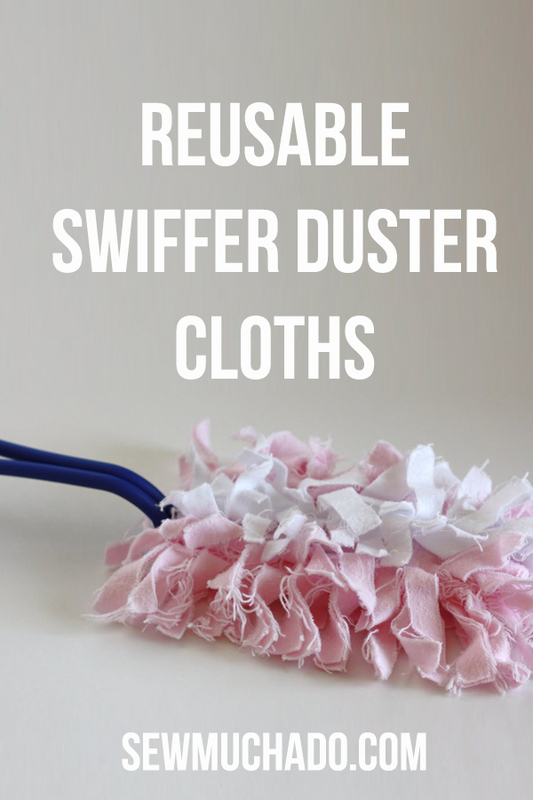 This tutorial will guide you through the steps to make your own reuseable Swiffer duster cloth. The best part is that the more it’s used and washed, the better it will work! From start to finish, you should have your new duster made within 30 minutes! Update: You can now download a free pattern HERE rather than measure and mark your own pieces as instructed in the tutorial. Please note that the markings are for a handle similar to the one pictured in this tutorial. Note: I found that flannel works best at dusting. I also tried using microfiber (you can get microfiber cloths at the dollar store for a couple of bucks), but personally didn’t like it as much as flannel. It didn’t seem to hold as much dust, and made a HUGE mess as I was cutting it up. Polar fleece may also be a good alternative, but I would still prefer flannel, in my very humble opinion :). Directions: 1. Place two pieces of 4″x7″ flannel on two pieces of 7″x7″ flannel, centering smaller pieces on top. Repeat with remaining flannel squares. 2. Join small and large pieces together by stitching down center of all four layers of fabric as pictured. Stack the two sets of flannel on top of each other, with the small pieces on the top and bottom. 3. Next, make the casing for the Swiffer duster handle. Fold the small pieces of fabric to one side, align the base of the prongs at the edge of the fabric, and center the prongs over the middle seam where the small and large pieces were joined together. 4. Trace close to side edge of prong all the way to the edge of fabric, leaving spaces where the curved areas of the prongs are. It is better to leave a little extra space where the curved areas are than to leave too little space. Fold small piece of fabric to opposite side and trace prongs again the same way. 5. Fold top and bottom small pieces to one side and stitch along traced lines, through all four layers of flannel. 6. Fold top and bottom small pieces to opposite side and stitch along traced lines, through all four layers of flannel. 7. Open up top and bottom small pieces at middle seams and lay flat. Slide Swiffer duster handle into the casing you have sewn, in between the 4 large pieces of flannel. Curved areas on prongs should slide into the spaces you left when you stitched the casing in step 6 and hold the handle in place. 8. Beginning with top layer of large flannel piece, trim approximately 1″ of fabric from edge on both sides. 9. Continue trimming each layer approximately 1″ shorter than the layer beneath it. 10. Turn duster cloth over and repeat steps 8-9 with opposite side. 11. Beginning with narrowest layer, clip edges of flannel at 1/2″ intervals along length of duster. 12. Repeat with the next flannel layer beneath. 13. Continue clipping edges of all layers on each side of duster cloth. 14. Ruffle up all clipped edges, and this is what you will have: 15. Throw your new reusable Swiffer duster cloth in the washer and dryer to let the edges fray. You may need to clip some loose or dangling strands of thread. 16. Let your kids, husband, and even you (ya, you) fight over who gets to do the dusting! Want proof that your new reusable Swiffer duster cloth works? Here ya go. Where do you find the duster handle? You can find them in any grocery store, but there are newer styles that may not fit the pattern I’ve provided. I’ve heard from a few readers that have found the right handles at the dollar store though! SO COOL!! I’m so making these! Thanks for sharing with me and I’ll definitely mention your Green Month and feature this on my blog soon. What a great, fast project! Love it. And, I think the pink actually makes me want to clean–weird. Great tutorial. Thank you! 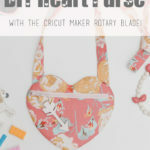 This blog post will be advertised on CraftCrave in the Handcraft category today (look for timestamp: [02 Mar 01:00pm GMT]). Wow! This might make me purchase a swiffer just to have the handle! Great idea! Buy the handle at the dollar store like I did. Saw this on Craft Gossip and had to check it out! I’m definitely going to make this for myself and a couple of my “green” friends! I have one of those Swiffer dusters, but I haven’t been able to make myself by more cloths because I felt guilty about throwing them and my money away! I looked for a washable microfiber duster but didn’t have any luck. I’ll be making some of these for sure. Thank you so much for sharing such a great tutorial! Thanks for the great idea, when I run out of my refills, I’ll have to try this. This is genius!!! I re-use my swiffer wet-jet container and I use rags for it instead of buying new cleaning cloths. I have one of these dusters and I even have scrap flannel, so I will be trying this idea out. I haven’t decided what I am going to feature next week, but am pretty sure I have to feature this idea. Thanks for sharing. I can’t wait to do this one! I love my swiffer duster but this makes so much sense. Anybody sell these? I just don’t have the time! I adore my swiffer duster, but I hate hate hate throwing the things away. I use them til there is nothing left of them because it just bugs me to throw them away, but it’s the only duster that works! I can’t wait to make some of these, I am headed to the store for flannel RIGHT NOW! I love this! Such a great idea and a perfect way to use up some of my small leftovers. Thanks for the insight! awesome! I must try this! I am also a cleaning tool junkie but like you, can’t justify all that garbage. Thank you so much for this brilliant idea. I’m going to make one (or more) of these TODAY! This is great! I used to buy these but stopped because they are not resusable and expensive. I always thought flannel would make a good dusting material because all the dog hair and dust on our floor clings to my daughters flannel pants!!! What a fantastic idea!! Bookmarking this and making it! Thanks for sharing. Talk about a useful project! I need to make one of these. I made one out of microfiber but it doesn’t floof out as well as the flannel – looks like I need to make another (or three). :>) I linked to this on my weekly roundup – thanks for sharing! I LOVE LOVE LOVE this idea! It’s right up my alley! Thank you soooo much! Such a great green idea! Beautiful tutorial too! Love it! I have tons of flannel as I make rag quilts, so easy to do. Thanks! I’m featuring you at my Penny Pinching Party tomorrow. Feel free to stop by and grab an “I Was Featured” button. I’m making one for sure. I always see those things at the store. I can’t justify spending the money just to dust. I have tons of fabric scraps! Oh this is good. This is WONDERFUL!!! I’ve added it to a “Green Cleaning” roundup on my website today. You can also grab an “I’ve been featured badge” if you’d like. I love this idea…and by the way I bought my handles at our $1 store so look there first. This is wonderful. I would love to have you be a “Guest Blogger” next week with this project. Please email me at trendytreehouse@me.com if you are interested. I will be making these for everyone I know! I love it! Thanks for sharing. Thank you, this is so clever and actually do-able! Will save me money as well as help me go even greener. Thanks again for sharing your brilliance and ingenuity with us. Thank you so much! I love swiffer dusters for walls and valted ceilings but they are too expensive to use regularly. THIS I can handle! YEAH!! Thank you sooooo much for helping me save some money..
super awesome idea!!! I love the siwffer dusters but cringe at the thought of how many I throw in the trash. I’ll be making several of these! thanks so much!!! I got a Swiffer knockoff duster with a handle and three dusting heads for $1.00. This would make creating the reusables even cheaper. I was wondering what to do with some scrappy flannel I have; now I know. Thanks! Love it! Come link at my party: Thursday’s Treasures!! you know, you don’t have to use “swiffer” handles. Just use an inexpensive wooden spoon, an old handle off anything, or even an old “capture” mophead with the handle cut to your own length. I have been looking for something like this as my husband loves to use the Swiffer Dusters, but I hate buying the disposable covers. I will feature this site on my blog tomorrow. I am a new blogger and I hope this is proper to do. I use swiffer dusters in my classroom and think this is an awesome idea. I even have a pair of worn out flannel pajamas that would be perfect for this. Thanks for posting! Fabulous! My 2 1/2 year old will tackle anyone who tries to take her Swiffer Duster away but I hated the chemicals and cost so this is perfect! I have a TON of cheapy flannel receiving blankets that would work beautifully for this! Off to dig out my scissors! Thanks so much!!! 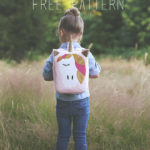 Thanks for a great tutorial – as a newbie with the sewing machine, this was a fail-proof project for me. I just love the repurposing of products I’d otherwise have to dump. If you don’t mind, I’ll be linking you up on my blog soon – I know my friends will love this project for their own homes too. I just added this article to a clients website, they sell flannel rags and this is the perfect project for reusing their rags! If anyone is looking for some flannel they should check out the site! They sell the reclaimed flannel for $43 and you get about 125 pieces… that’s enough to make like 20 of these dusters! Such a clever idea! I linked back to this post from my own sewing blog, quiltinprogress.wordpress.com. Thanks for posting! Brilliant! My daughters and friends are getting one. And my one year old grandson must have one for himself as he is a cleaning maniac with his mom. So simple and so brilliant. Now I can save money by recycling my old flannels. So I finally posted about this on my blog. Thanks for sharing! This is so awesome!! I am making one. I have a swiffer handle but quit buying the refills because it just got too expensive. I know we have some flannel pajamas here that don’t fit anymore – and won’t that be cute – doggie and kitty print flannel duster – how appropriate since our pets cause much of the dust in our house! Great idea! I have some flannel baby blankets that I got for 50 cents at Goodwill. Can’t beat that price! Fabulous idea! I’ve posted a link to your post on my green blog in french: http://mavieengreen.blogspot.com/2010/07/un-plumeau-swiffer-reutilisable-cest.html! Thanks for the inspiration, I think even I (aka Mrs I-can’t-sew-even-to-save-my-life) feel like I could do it! Loved your Swiffer idea and have posted it on my blog. wow! this came in time..just as I was running out of my Swiffer Duster stuff:):)Thank you for sharing. I finally had a few minutes to make a few… they’re great. I had a few scraps of fleece and made some. They work good too, but I think the flannel picks up more stuff. Thanks for sharing! Anonymous – the first time I washed the duster I had some loose strings that I trimmed, but after that I haven’t needed to trim it again at all. If you’re worried about unravelling, you could always cut all your squares of flannel on the bias and that would help :). I love this idea!!! My sister and I had to make them. 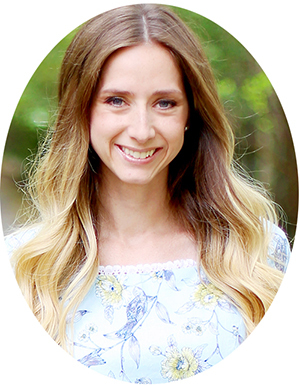 I posted and linked you on our blog! Thank you!!!! I think I’ll make more for gifts! Lovin’ this idea sooo much! I bought one of those dusters because I had a coupon/sale deal that made it super cheap, but I’ve never been able to bring myself to buy the refills and now I don’t have to! WHOOT! However, is there a printable version of your tute? I’d like to have it beside me while I attempt to shop and make one of these covers for my duster. I hate the idea of throwing away my sweeper duster (it is quite expensive where I live)so I was overjoyed to find your terrific blog and this awsome idea and tutorial, thank you so much. I just found my duster handle while cleaning out a closet so of course I abandoned my closet cleaning to find your tutorial which I had seen a while ago. Thank you! I think I’ll end up making a few of them so I can save on the laundry too. As if you need another comment about how cool this is!! But I have to say, I “Stumbled Upon” this tut a few days ago and at quarter past midnight was digging through my stash to find some flannel. I’ve made a dozen so far and have another dozen ready to sew for friends. Thank you so much for this! This seems to be a great site which offers Professional Cleaning Company, Commercial Cleaning, High quality cleaning, Domestic Cleaning, House cleaning services, Cleaning Company, Brisbane Cleaning, Lawn Mowing Services, Cleaning Prices, Commercial Cleaning Prices, Domestic cleaning Prices etc. and i would surely like to try their service…i had been relying on http://www.peoplepowercleaning.com earlier and they too offered good stuff. You are absolutely genius!!! I love this. I am always complaining about how much the refills cost. Now I don’t have to. Thank you so much for this awesome tutorial. Great stuff! I just made cloths for my swiffer sweeper, so this is the next logical step in eliminating throw-away items that can be replaced quite easily with reusable ones. Thanks for sharing it with us. I’m so excited I saw this post! I will be making some for home pronto! I also hate throwing away the duster head once it’s full. Thank you, thank you! Hmm…my swiffer duster handle looks nothing like the one in the tutorial. It’s yellow and not as long (the swiffer duster refills actually snap into the handle). did they change the design? Is there something else i can use, or maybe a store brand that works better? i just don’t see a way where this handle will work for the refills. thanks in advance for any tips! Anne – It sounds like they may have changed the design, I’ll have to check next time I’m at the store! Sorry that these refills won’t work for your handle, I’ll let you know if I have any tips after I see the new design :). I found this tutorial through Pinterest and tried it out the other day. I have the same handle as you so it worked out perfectly for me. Plus, you inspired me to come up with a reusable Swiffer Sweeper/Wet Jet cloth that I’ll be posting this weekend. What a great idea! I love using Swiffer dusters but when it comes time to throw one away, I always feel guilty! i shared this on my blog wixnstix.wordpress.com I love this and have made two of them so while one is washing, i can continue to dust with the other. I love this! Great idea and so supper easy. I just found you today via pintrest. Now I am following, you have some awesome ideas. If it is ok I will share a link on my blog to your blog. Just made one ,and it is great will be make more for me to use , Thank you so much for makeing this afree patten!! I’m so making this. I just spent $5.00 on generic refills and they are horrible. Thanks for the idea. Thanks for the tutorial. I always cringe when I have to buy these. I have made 3 this morning so that I can have one in each room of the house! Great Idea! i used pinking shears when cutting the flannel and have zero strings. I am new to sewing, and this tutorial was great! It was so easy! Thank you sooooo much! I just bought a box of the disposable swiffers tonight and was disgusted at the cost! I will definitely be making these. Ya know, they might be great for housewarming gifts! I bought the a swiffer duster kit just to get the handle. Genius! Thanks for sharing. Better design than others I’ve seen and a very well done tutorial. As a well aged woman, I love seeing what all of you talented younger women comen up with. I am proud of your talent, ingenuity and drive. Keep up your good stuff! This. Is. Awesome. You have no idea how excited I am to try this. The last time I bought the duster refills (I REALLY needed them), I stood in front of the display at the store for a good 5 minutes, with my patient sister beside me, before I forced myself to buy them. They are sooo expensive, not to mention wasteful, and I have a lot of home to dust. Thank you thank you! I’ll definitely be making more than one of these. Thank you so much for posting this! I just finished making my 2nd one today. They were very easy to make & I was so happy to find this tutorial. I am looking forward to making some of these! I already made a cover for my swiffer wet mop out of fleece, but will take your suggestion and use flannel for this. A friend gave me some pj’s that were not my size, but were flannel. I kept them to use for craft projects because I LOVE flannel. this will be perfect! I love this idea and will try it as I have a lot of unused flannel from when my kids were babies. I like Swiffering because it does not use electricity. I was trying to find out if the dust clothes for the broom type are reusable by washing. I am thinking of removing the dust outside and hand washing a bunch at a time. I am always looking for eco friendly ways to clean so thank you for this post! Just made this! Thanks so much for a great tutorial! Thank you so much for this. I had the swiffer duster that I got through a free promo and knew I would never buy the throw aways to go on it, but I really liked using it. This solves my problem. I just made one and dusted with it. So glad to be able to wash and reuse! Thanks again! Found you via Pinterest. I just made one of these – the only thing different I did was stitch two little straight lines at the top so that the plastic handle doesn’t go flying out that end! Love this, thanks so much for sharing it! But I love this thanks for sharing it…..
How about using old tee shirts? I have had a pile of scraps from using tee shirts to make a big quilt and can’t stand to just toss it all out. You are a GENIUS!!! This is GREAT!!!! I’m going to make up a ton of these!!! :-D THANK YOU!!! Thank you for this! I love my Swiffer duster, it makes it fun and easy to clean. But the last box of refills I bought (on clearance at the local grocery store) are perfumed and I hate the smell. It’s offensive. I’m pinning this and will be making myself some! Brilliant idea! I sewed one of these by hand (since I’m machine deprived) a few weeks ago from some scrap fleece. It’s the ultimate duster! The more I wash it, the better it gets. I spray a little diluted vinegar on it, and it picks up all the dust like magic. What an awesome idea. I plan to make some soon. Great creativity. Thanks!! This is such a great idea !! Every time I buy a new box of refills at Costco they come with a new handle in the box, this is a great way to do away with the extra plastic. Terrific! Thanks so much for writing this up. A money saver for certain! “Sew” excited to try making these tomorrow ;)! 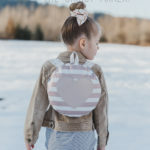 I actually found another tute on someone else’s blog but didn’t have the material (fleece or microfiber) so I googled making one out of flannel since I have a ton of that and came across your blog. Glad to hear you liked the flannel better! I used pinking shears to make all the cuts. More little surfaces to catch and hold dust. The tutorial looks great would like to try this on my own thanks for such a great tutorial. I found out quite accidentally that minky fabric is one of those that picks up and really holds dust. Way to expensive to buy for this, but if you have scrap pieces all is good. Normally you have to wash minky carefully, but since it is being used for this, it won’t matter. Happy cleaning!!! I made a ‘handle’ from a wire coat hanger. Keep hook as a handle and bend the rest of the hanger into 2 loops to fit into the fabric duster. I’m going to look for a flannel sheet at Goodwill to make mine. What a great idea!!! Why didn’t I think of this. Thank you!!!!!! Keep um’ coming. I have been making these out of fleece. I love them!! Dust sticks to the fabrics better than to the sweeper ones. I may have to try them from flannels. I have some of that too! I have been wanting to make re-usable dusters for my Swiffer for so long. Thank-you, Thank-you. I made one yesterday and just used it. Works better than the dusters that go with the handle! LOVE it! Just used some fleece scraps! I also cleaned my ceiling fan-and lastly-before tossing it in the wash-I dusted the sides and behind my toilets-always hard places to get to and get dusty. Two thumbs up!!! Thanks! I’ve had this pinned for forever but just ran out of the paper cloths and decided to try it. I make receiving blankets, bibs and burp cloths for charity, so had plenty of flannel scraps and didn’t have to buy a thing. Turned out great and I’m getting ready to toss it in the washer now. Thanks! The right way to use Google Adwords is revealed in an easy manner. times, and as addictive as the game was with the GOOGLE letters inside the maze, I didn’t obsess over it for hours. I use these Swiffer dusters for my house cleaning business. They cost about .75 cents apiece.. I’ve washed them but they lose the dust magnet quality. I have plenty of flannel so I will make some for use on the job. I also will make some for Christmas presents next year for my environment conscience friends. i was wondering do you have to use dusting spray with this or does it work with out it. I don’t mind either way as i use environmentally friendly products for cleaning. So i would still be keeping it green if i used spray. i love this i really needed a duster for violin.since i dont have one itryed to make one but it din’t work(not this way my way) then i saw this and after it worked. I bought a Swiffer Duster Kit. I like the idea of getting into tight spots to dust and having the dust cling to the cloth cleaning part. However, the handle was difficult to attach and keep from being covered with the cloth cleaning part. The plastic tongs would end up scratching the furniture I was dusting. It did pick up the dust and was disposable but I did not like having to pay over and over again for the cloth cleaners. This is a great idea. It can be made to keep the handle tongs from touch furniture and then washed to clean and reuse. Brilliant solution! Love this pattern and idea. Thank you so much. Reusable, simple to make, fun to use, and all around great idea. Thank you so much for sharing. As someone who has terrible allergies, this product actually works better than the store bought and disposable kind. Was the flannel all cotton or a cotton/poly blend? It was 100% cotton :). Such a great idea! Now about the handle ~ do you buy a duster and remove the fabric or *dusting* material that comes on it? I’ve never seen a handle sold anywhere? I’ve never seen just a handle either, so you’ll most likely have to buy the whole starter kit :). I found a duster at Dollar Tree though honestly, for a dollar I’m not sure I’d mess with making one … it has no chemicals, works well and I’m thinking I might rather use my flannel scraps for something else? I used an old flannel shirt to make three dusters this morning – they are AWESOME!! I will definitely be making more to share with family and friends. I just came across this tutorial by mistake yesterday & made one this morning. It’s in the washer now & will be ready to try soon. Thanks so much for this tutorial. I plan to make my daughter some also. Thanks for this. I made the first one from an old sweatshirt and the second one from scrap flannel. I like both. I Hate to add “disposables” to the landfills and this works great! Wish I could get a “downloadable” copy of this……we live in the boonies and to download this would take all my “bytes”. To print it is 64 pages long! Like this idea and want to make one. Hi Elaine! To print, I would recommend copying and pasting into a word processing program (such as Word) so you don’t have to print so many pages. Hope that helps! I made them tossed in washer and dryer and now have a mess. Used flannel. What could I have done wrong? Hmm, that is strange! So sorry you had trouble with it, I wonder if perhaps it had something to do with the quality of flannel? I also used flannel and had the same issue. Tried it again and found that i had used the thin cheap one the first time. The thicker ones work great and no mess. Thank you for the info! Great Tutorial for the Swiffer Cloths!! I have made some already!! They work wonders!! Thank you! I love this idea. Quit buying the disposable one and started washing the years ago. Now I can make my own. Also, quit buying the pads for the floor Swiffer and use an old towel rag and a spray bottle of water. I made one with some fleece scraps I had, I hope it works. It’ll make an excellent Christmas present, thanks! BRILLIANT!!! I almost fell over in the store when I went to purchase the refills for my duster!!! I’m with you, I love my duster – just not the cost of the duster refills! You are a cleaning angel in disguise. Thank you for this project. Going to work on it watching the super bowl!!! 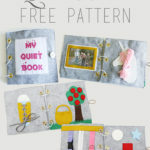 Your free pattern download lacks all information to make this project. Hi Bonnie, the pattern download contains the pattern pieces only. The instructions to complete this project are found in this blog post :). My daughter has a cleaning business and always looking for green alternatives. I made similar ones out of fleece for her a few years ago but just made 10 of these with scrap flannel. Great instructions. Thanks. Now to see how they repeatedly wash up compared to fleece. Wonderful – thank you! I love using these things but absolutely hate the waste going to landfill, not to mention the cost. My version of swiffer has a different handle (and a smaller pad), but I can easily adjust this pattern by looking at one of the refills. I found some high quality flannel PJ’s in my MIL’s stash (from when my husband was 5 or 6! ), and they’re washed and ready to start. What a great idea! Awesome!! I clean for a living and the refills can be pretty spend!! Thanks so much!! If you cut the flannel pieces of flannel fabric on the bias, you wouldn’t get as much (or any?) fraying and your dusters would last longer. Also, if you use polyester fleece and dry them without fabric softener or dryer sheets, the static will attract the dust better. Like others, I love my Swiffer but hate having to buy MORE refills. Right now I’m housebound, recovering from some relatively minor surgery last week. So I’m adding this to my list of “things I want to do as soon as the holiday decorations are down and I can drive again.” Thanks. Just an FYI for your readers: Scheduling surgery for December 17 isn’t optimal but it has an upside. While I had to miss a couple of things I wanted to do, I weaseled out of several other things I was dreading. Three weeks in December when everybody has to wait on you and make no demands on your time? Think about it. I hope your surgery went well and that you’re recovering okay! These are amazing, and I’ve made half a dozen for myself, but make sure when you wash them to put them in a lingerie bag as the shedding threads will clog your washing machine. My hubs had to remove the drain pump to clean it when I first washed them.